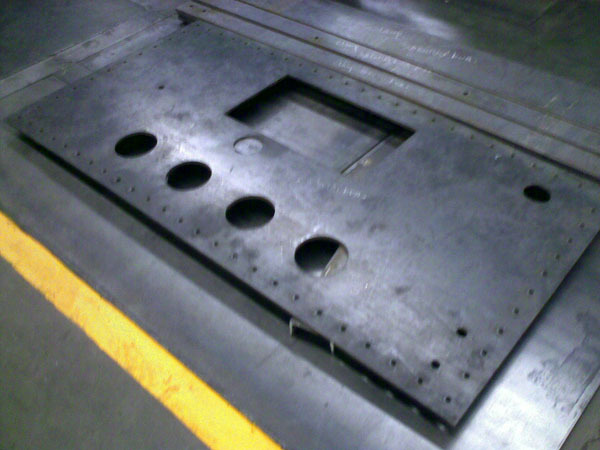 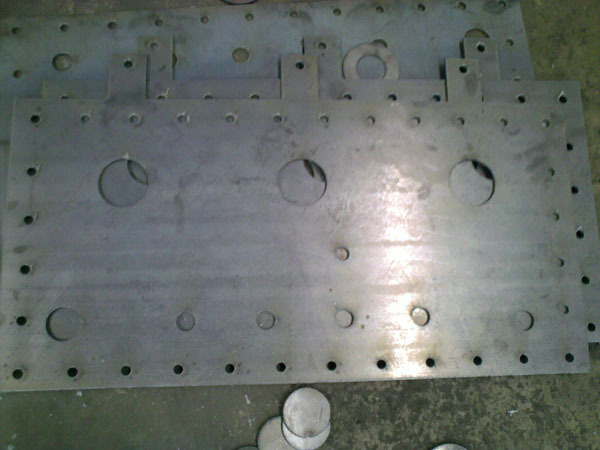 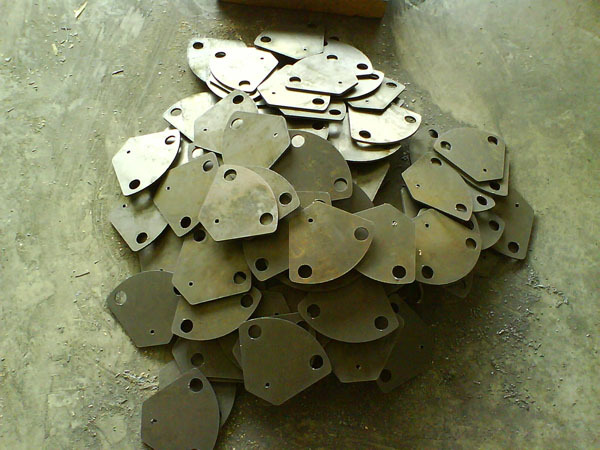 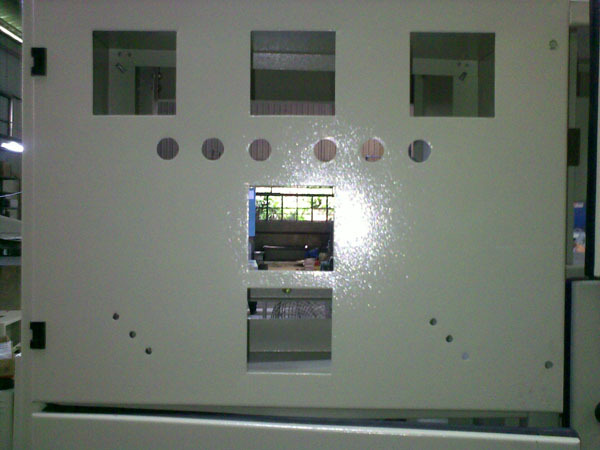 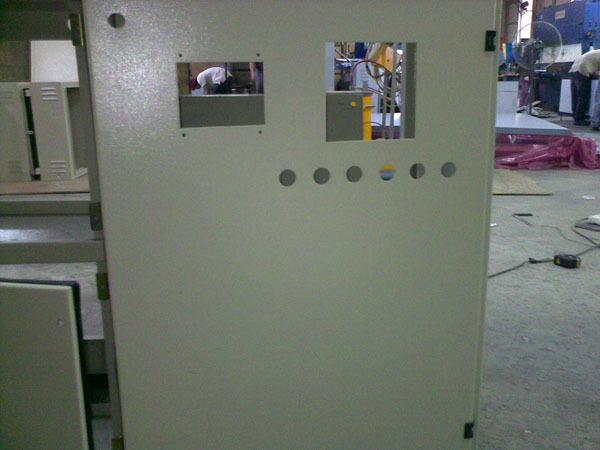 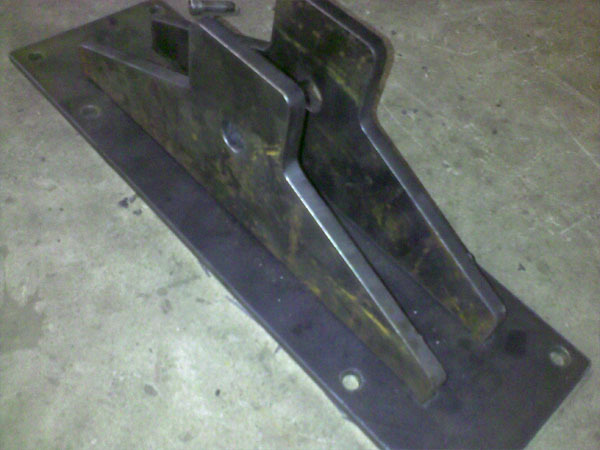 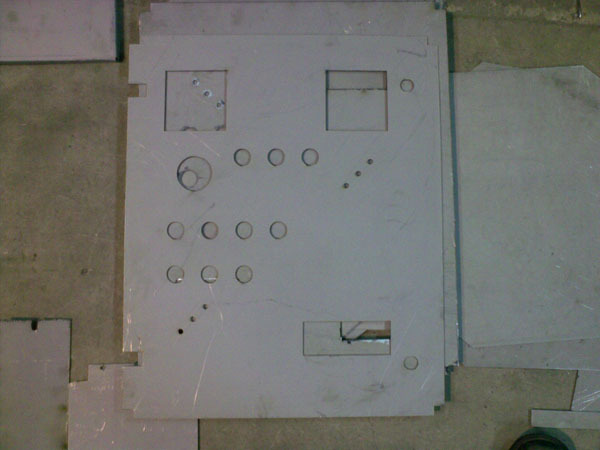 Machinery Brackets, Flanges, Electrical Button Panel, etc. 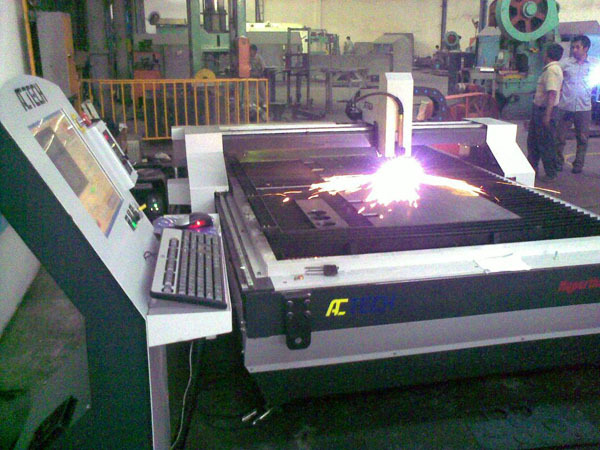 ACTECH CNC Plasma Cutting Machine could programmed to cut metal parts as above includes screws slots, screws through-holes & electrical button holes. 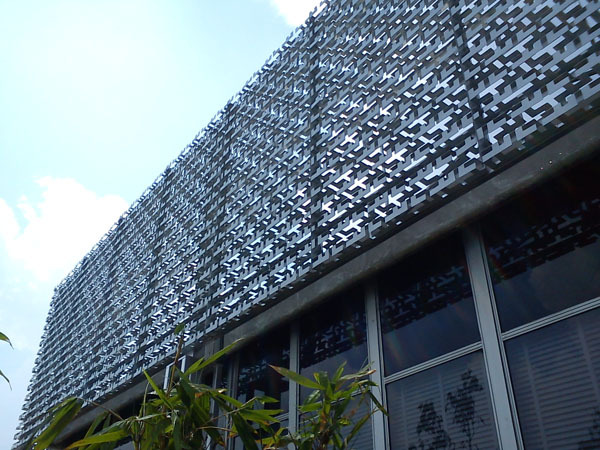 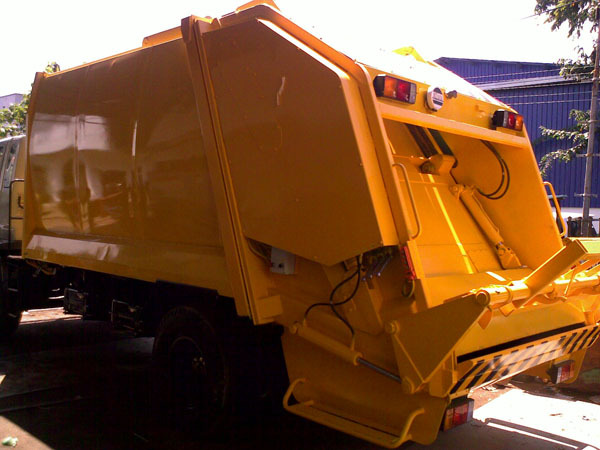 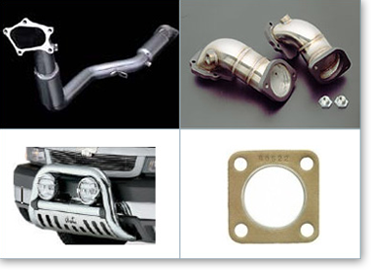 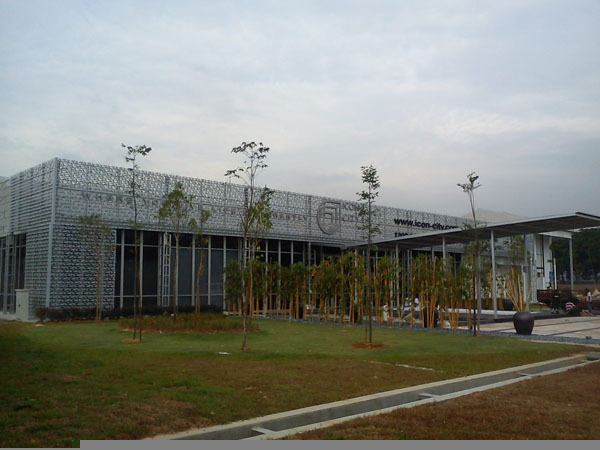 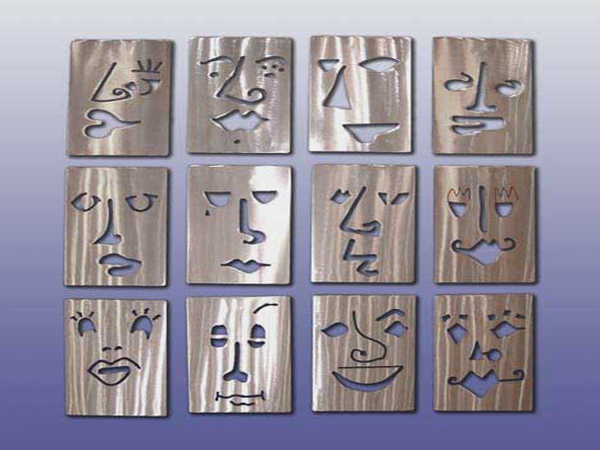 The materials may vary from mild steel, aluminium, copper or bronze and stainless steel. 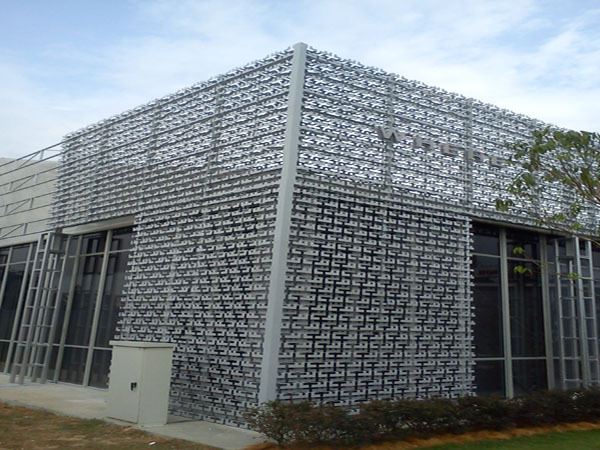 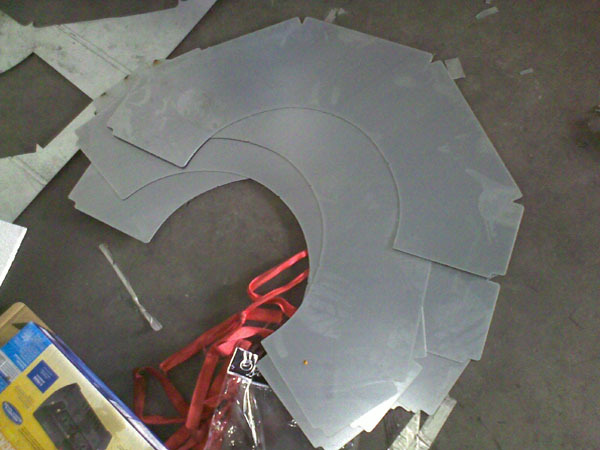 Aluminium dome roofs have developed into a frequently used roof system for covering storage tanks. 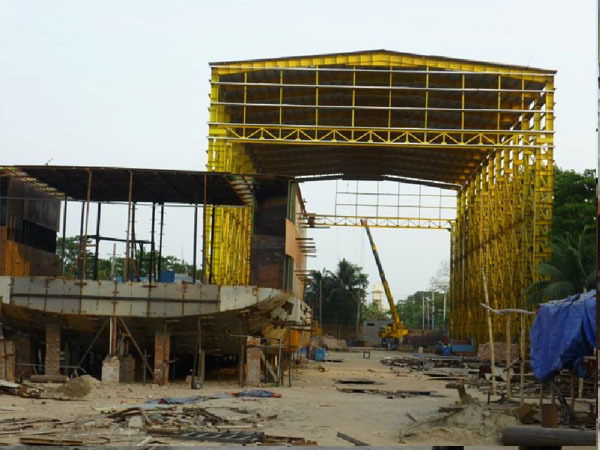 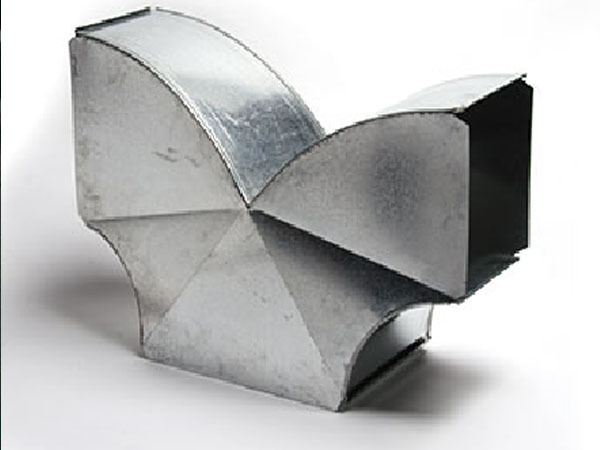 They are used for covering external floating roofs as well as in replacing heavily corroded steel roofs. 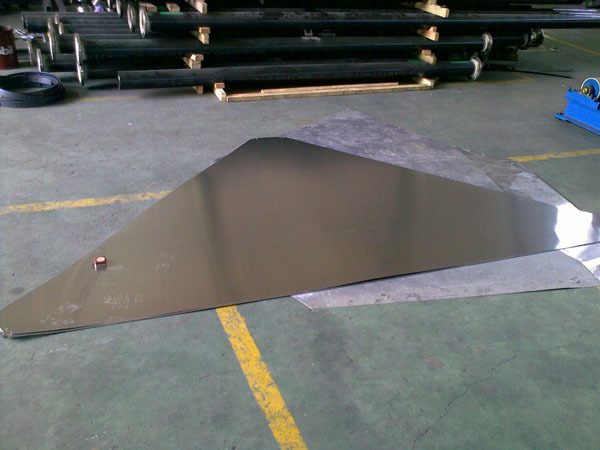 Aluminium dome roofs are light weight. 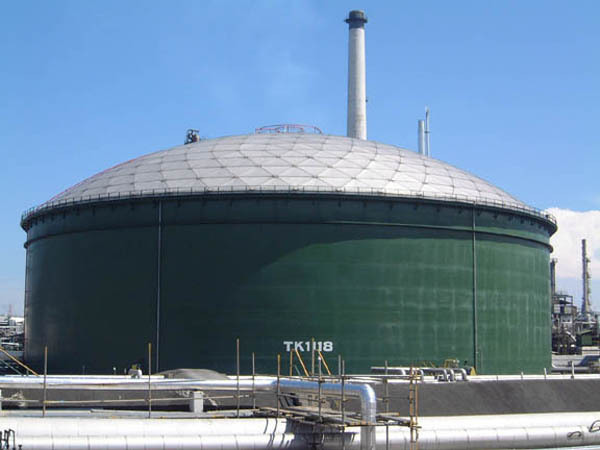 Any tank farm will benefit from these aluminium dome roofs by reducing vapour emissions, rain water ingress and by eliminating future maintenance. 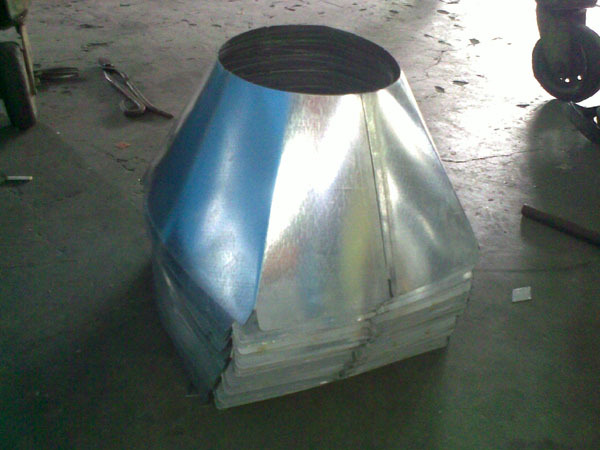 Aluminium dome is suitable for tanks of potable water, wastewater, petrochemical, bulk storage etc. 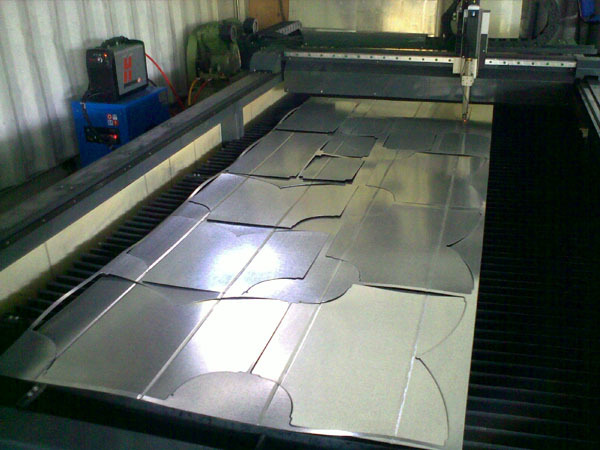 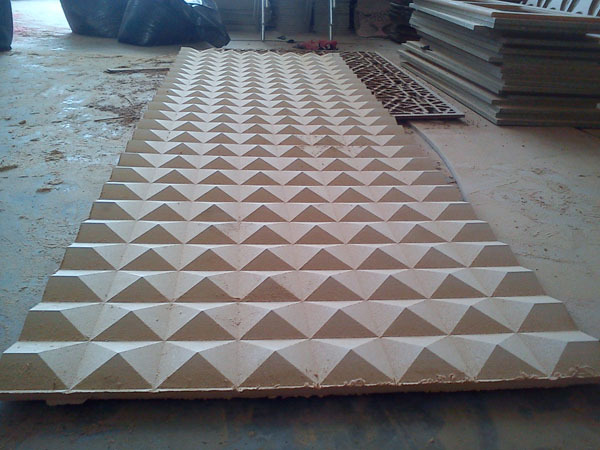 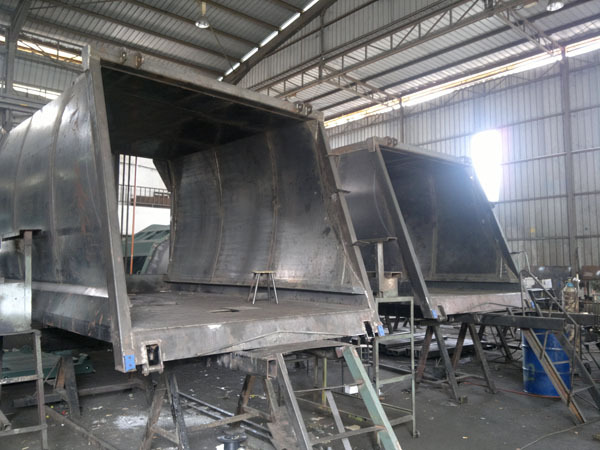 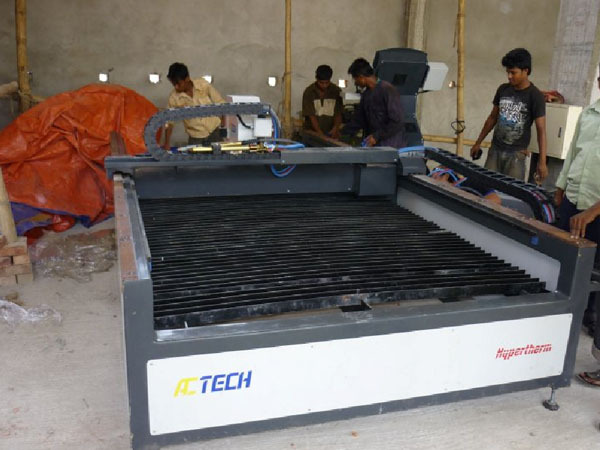 ACTECH CNC Plasma Cutting Machine may customize the effective cutting area that enables you to produce aluminium triangle dome’s roof, cycle time per piece approximately 3mins. 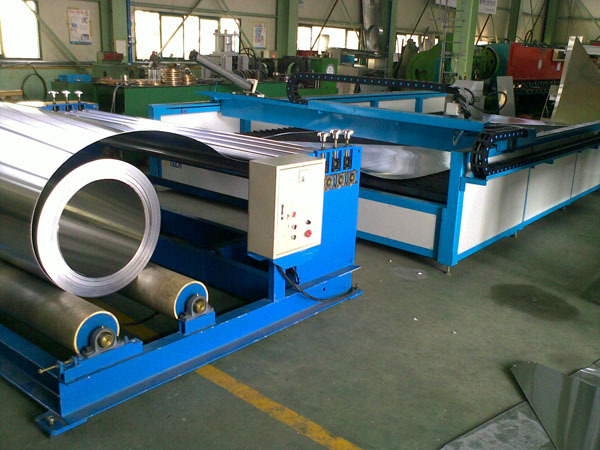 With equipped a metal straighter machine, the roll form material will load easier which ultimately leads to higher productivity. 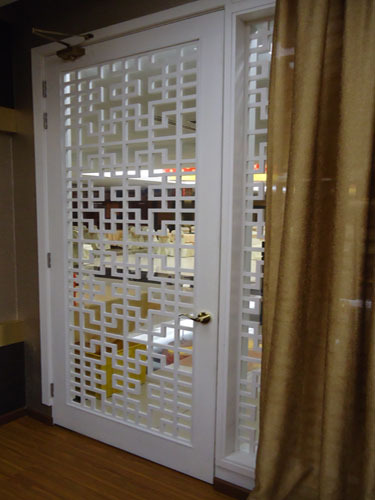 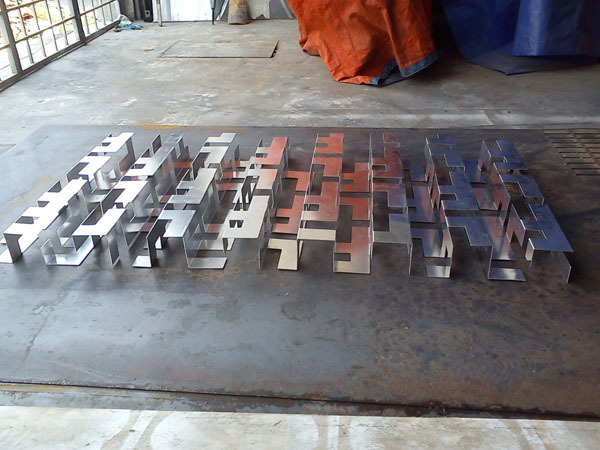 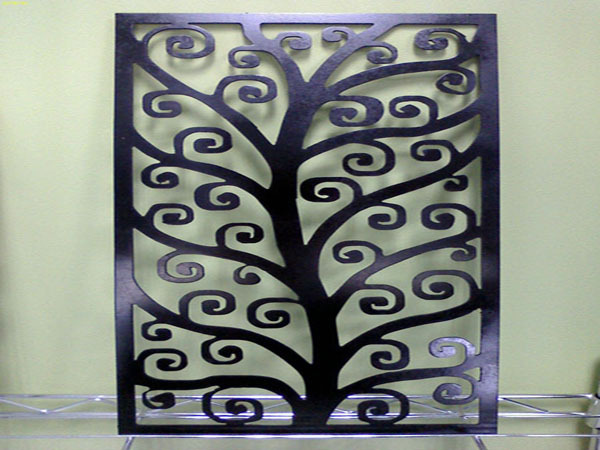 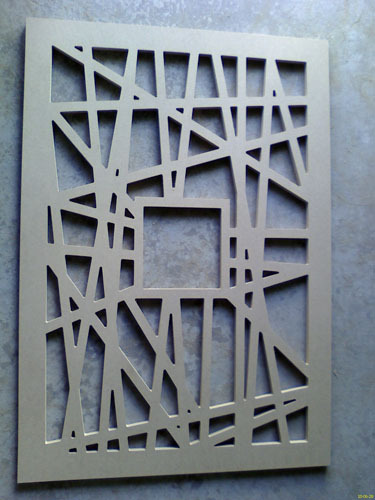 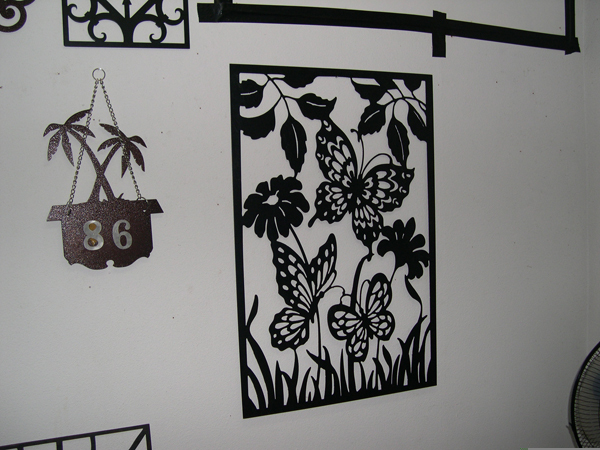 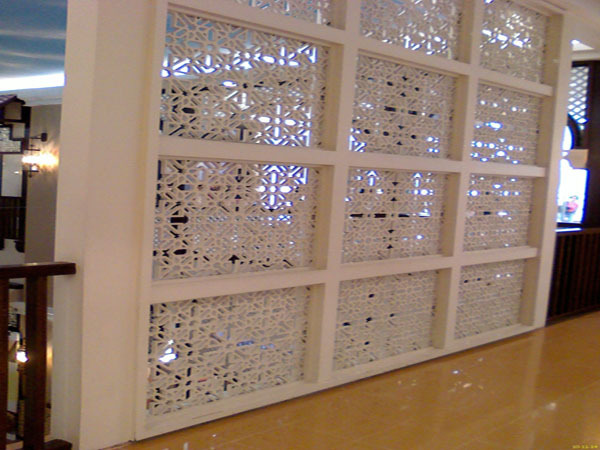 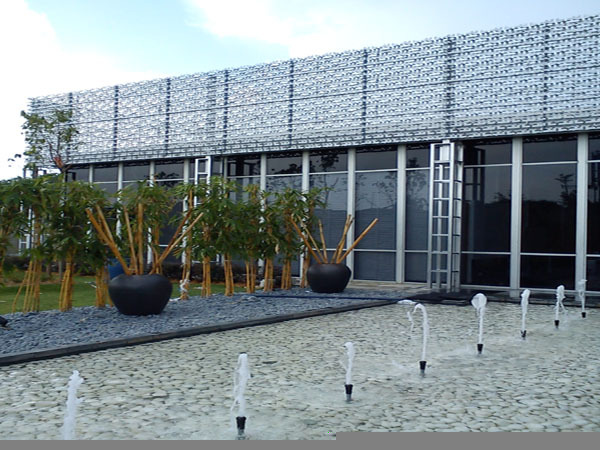 You are now able to utilize ACTECH CNC Plasma Cutting Machine to produce these artistic designs of gate & grill. 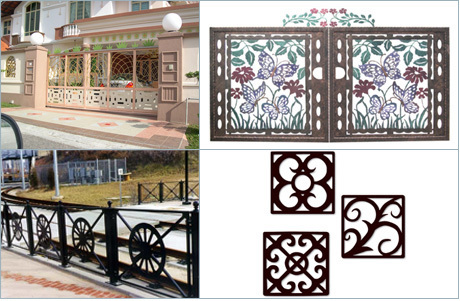 Just construct all these artistic design in software such as autocad & coreldraw, then possess the g-code with ours CAM software to manufacture it in minutes. 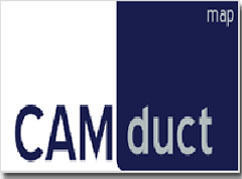 With associate with some optional software (e.g. 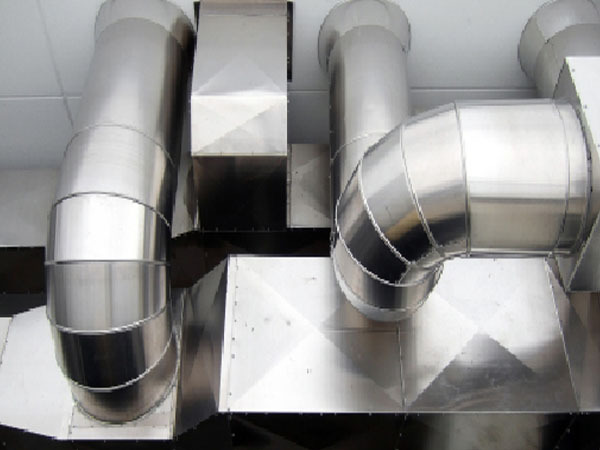 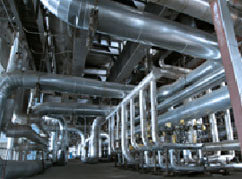 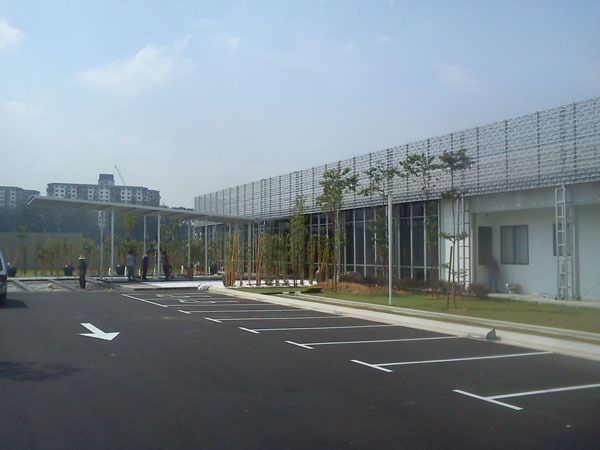 design2fab), you may produce duct work, fitting and accessories for HVAC industry. 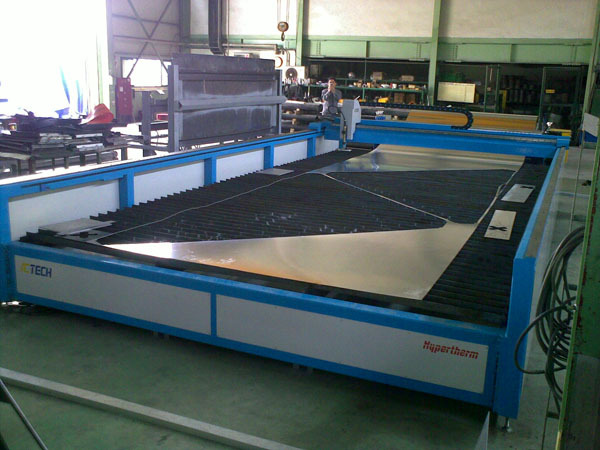 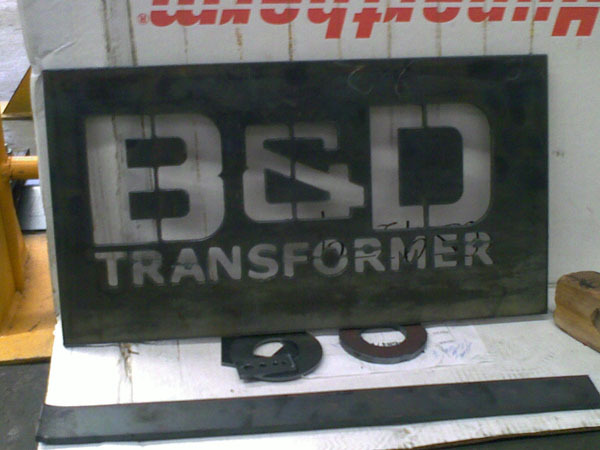 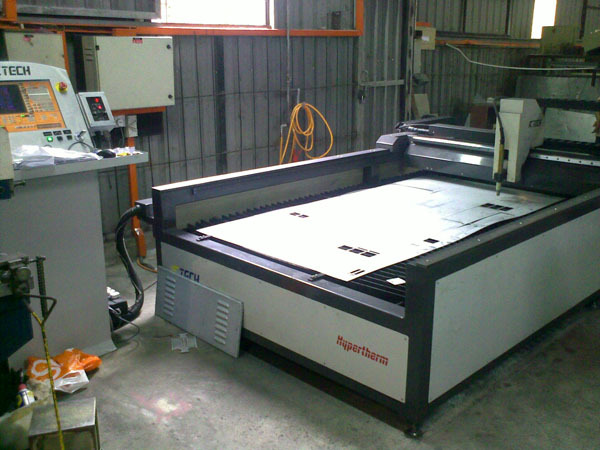 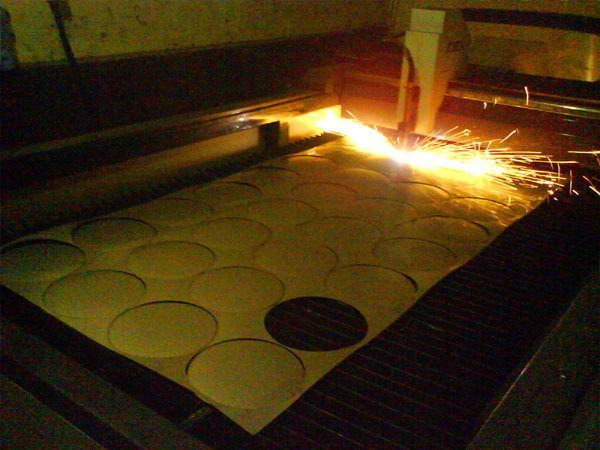 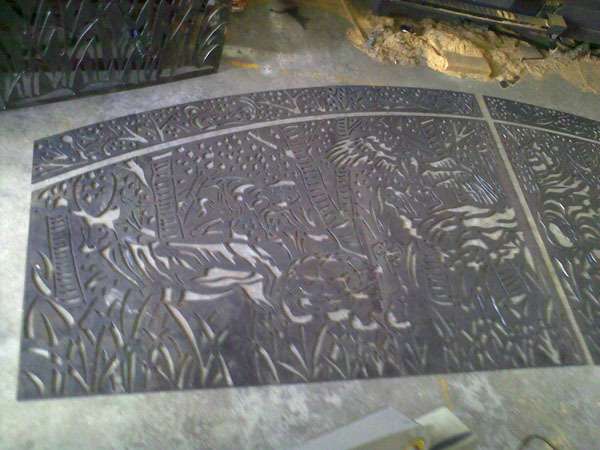 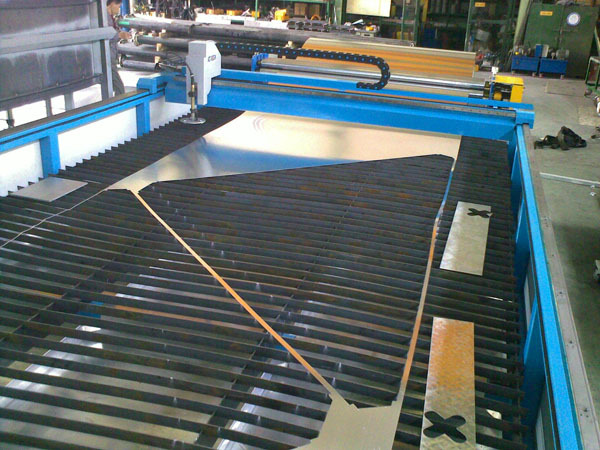 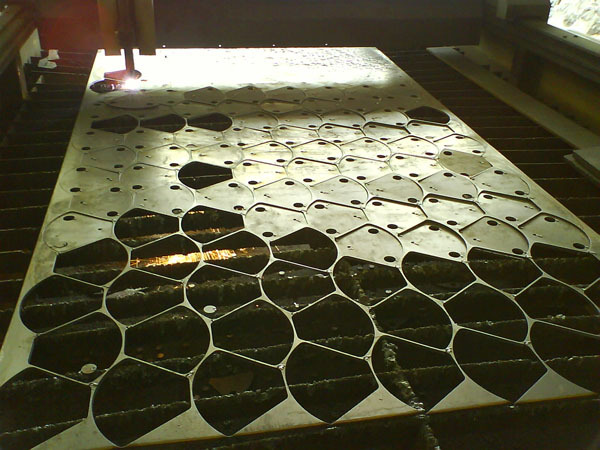 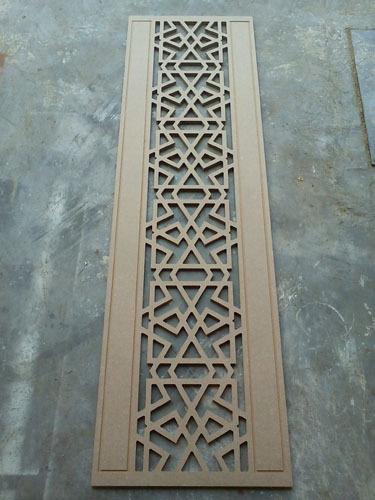 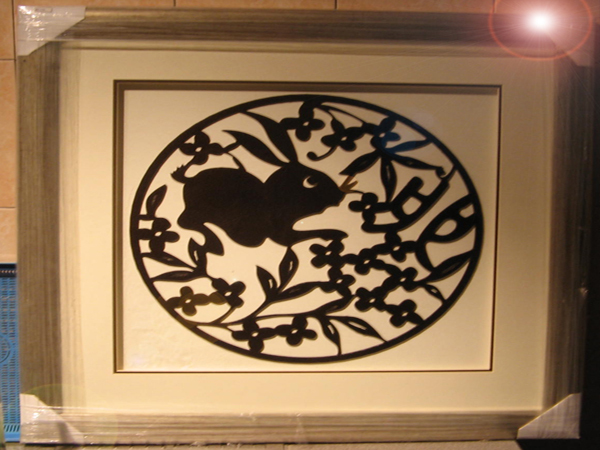 By CNC Plasma Cutting machine, it has proven to save you hundreds of hours and hundreds of dollars. 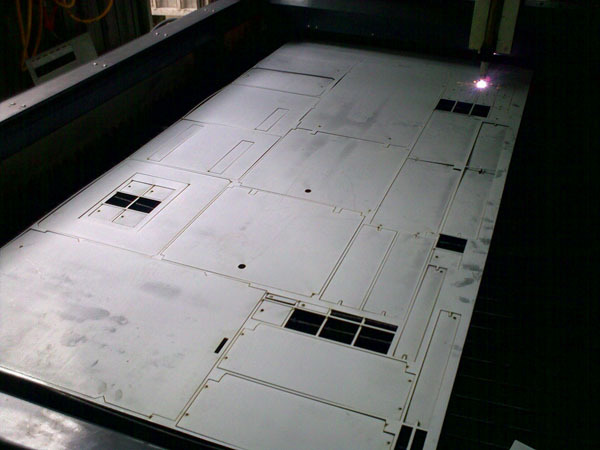 All mechanical parts will easily be completed in minutes, no more in hours! 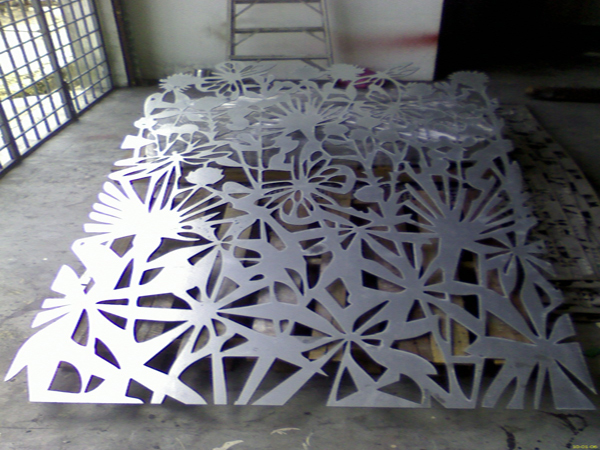 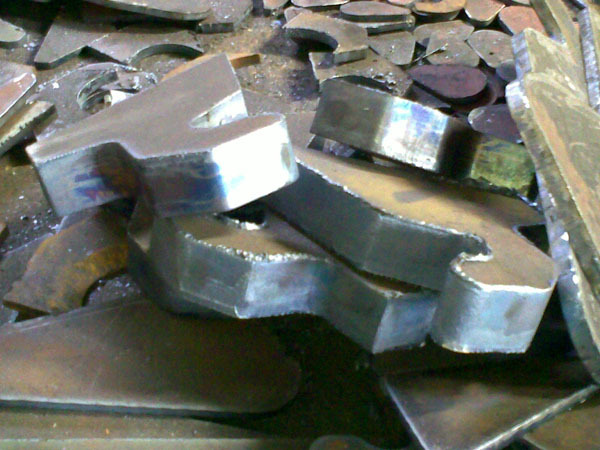 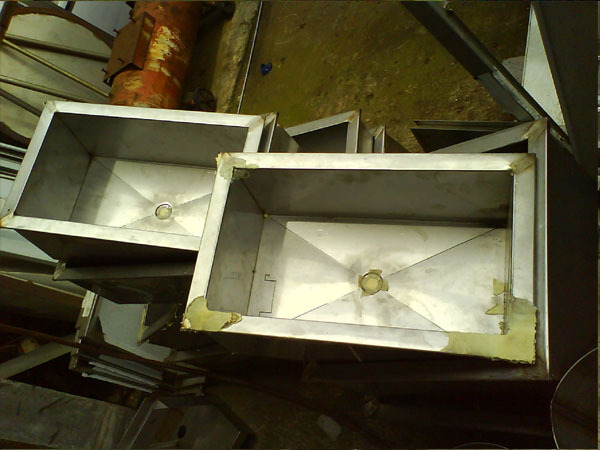 Our customer had proven to cut many decorative metal works which impossible to do by hand, ever! 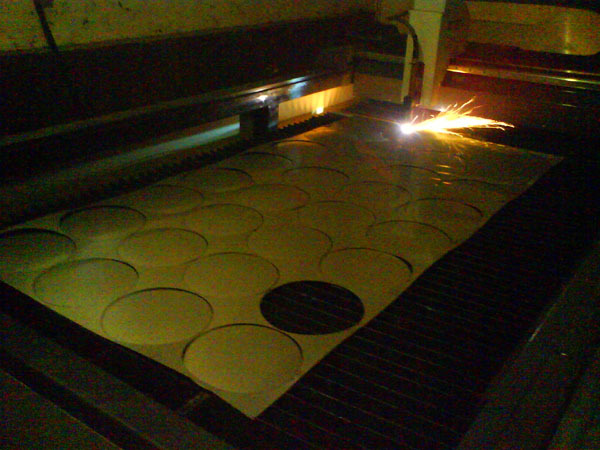 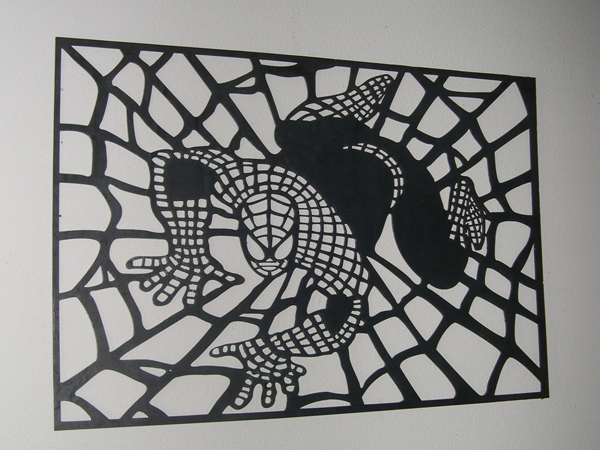 But, it is all become reality with ACTECH CNC Plasma Cutting Machine! 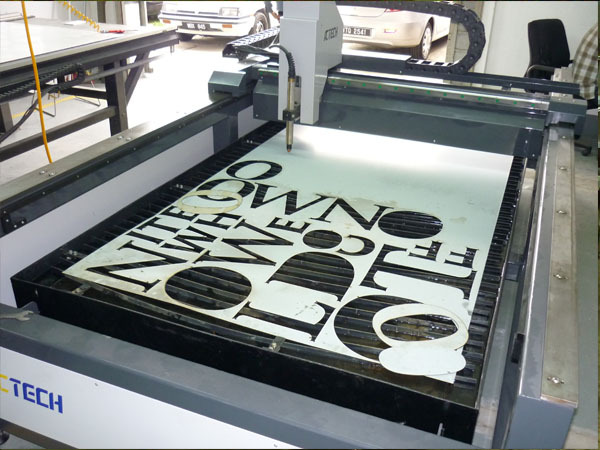 Now, don’t ever bother about ‘how to cut’ or ‘difficult to cut’, think of ‘how to fully utilize yours creativity & innovative! 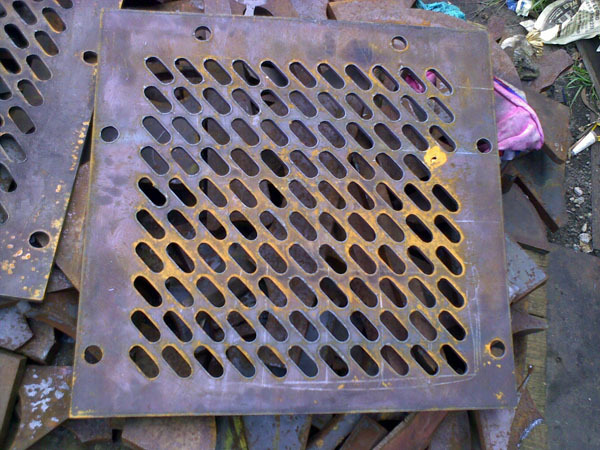 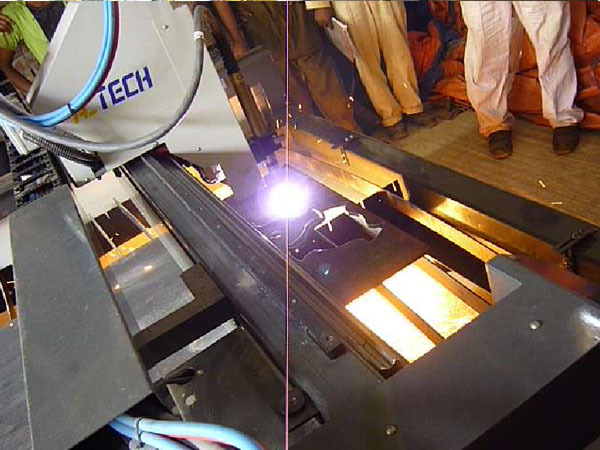 ACTECH CNC Plasma Cutting Machine is best choice for manufacturing of metal parts in mass production manner. 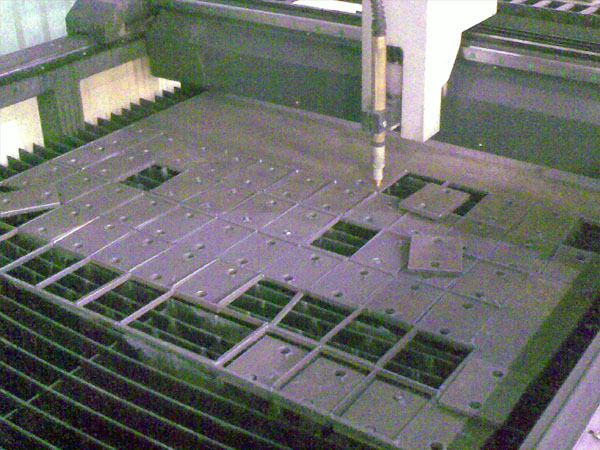 As product life cycle becoming shorter, manufacturer may alter their metal cutting design in almost ‘zero cost’ (just alter drawing rather than modifying moulds). 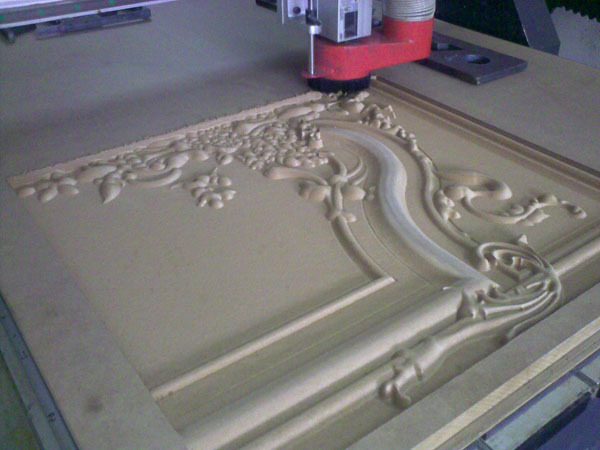 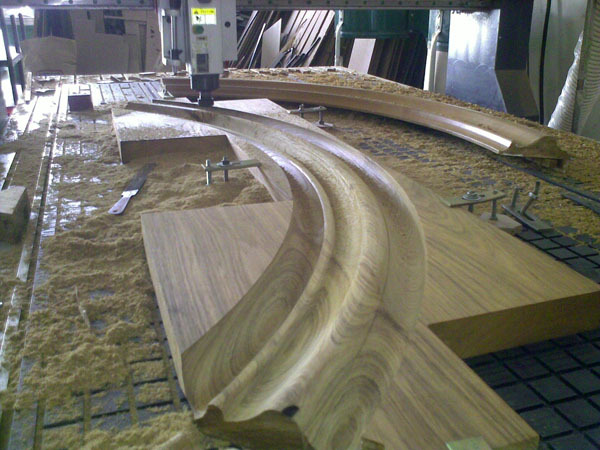 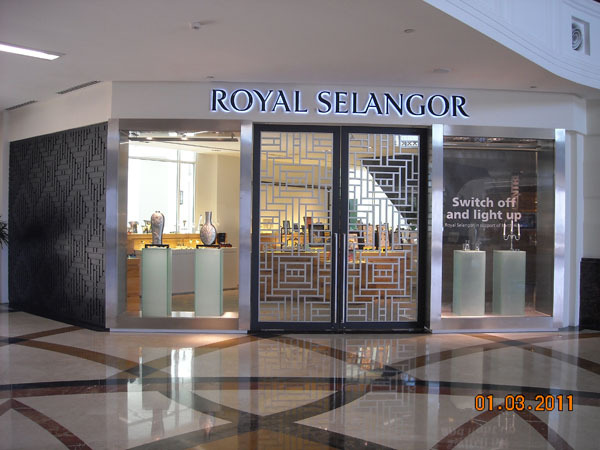 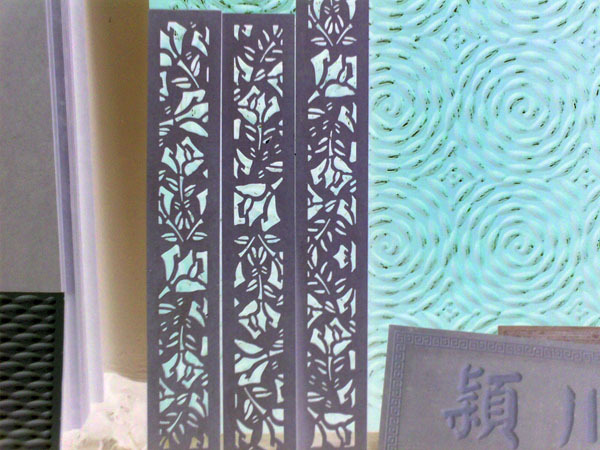 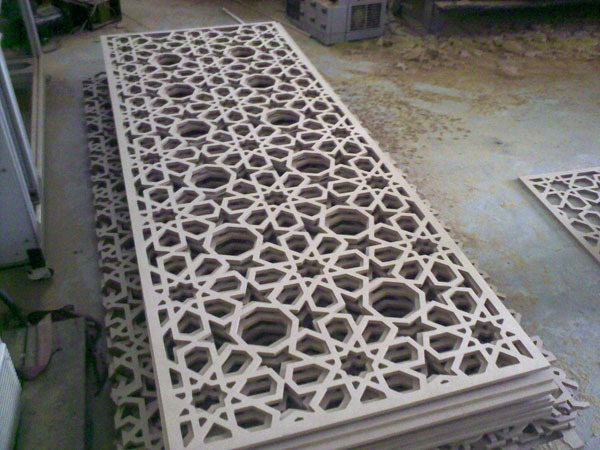 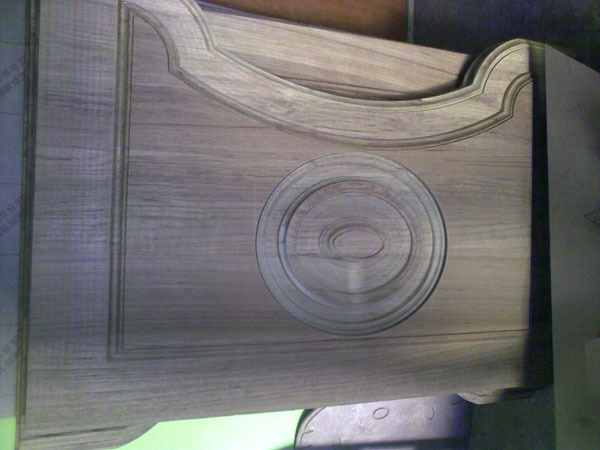 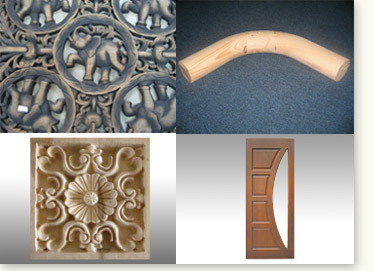 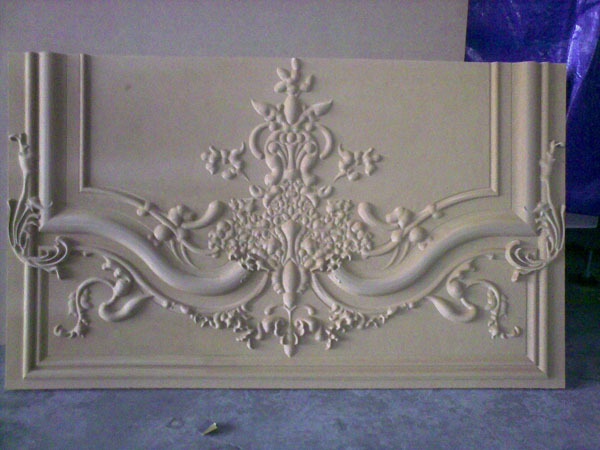 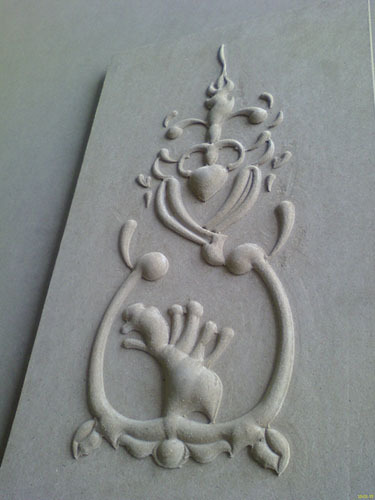 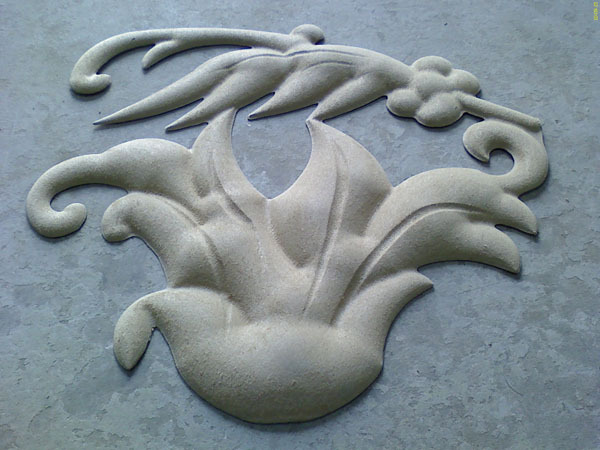 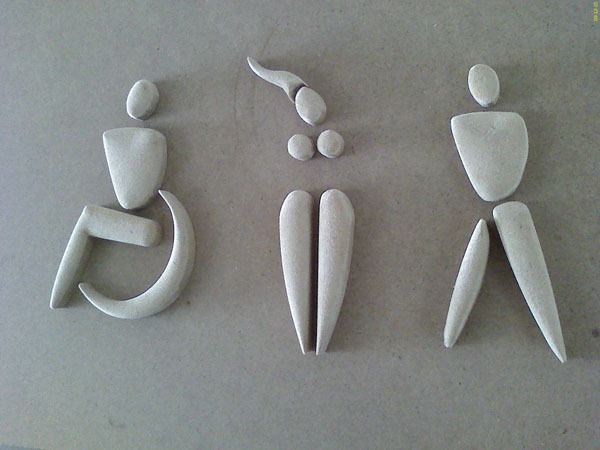 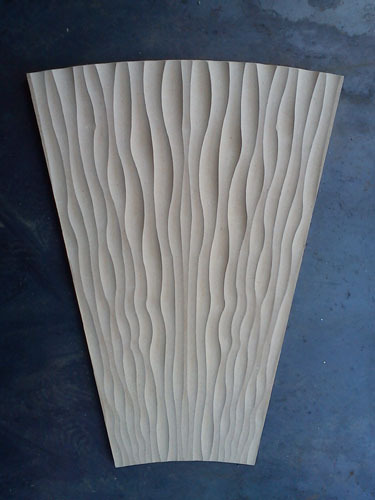 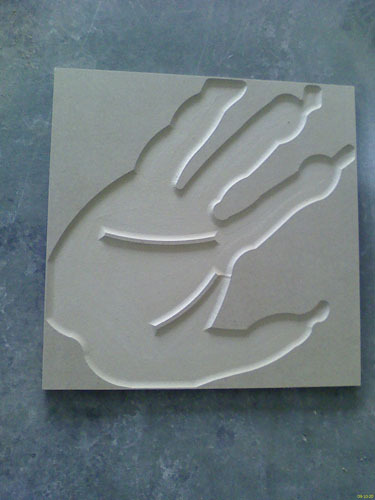 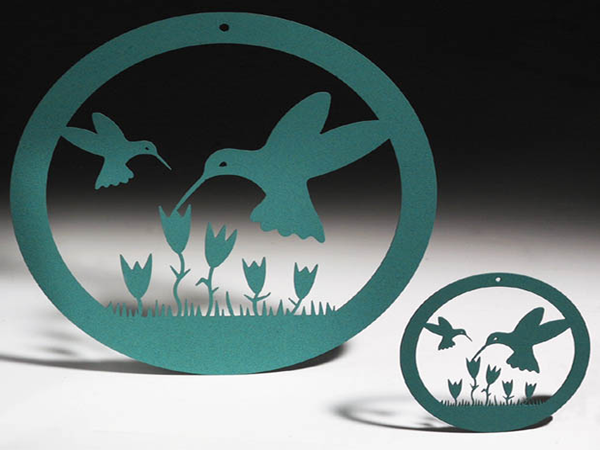 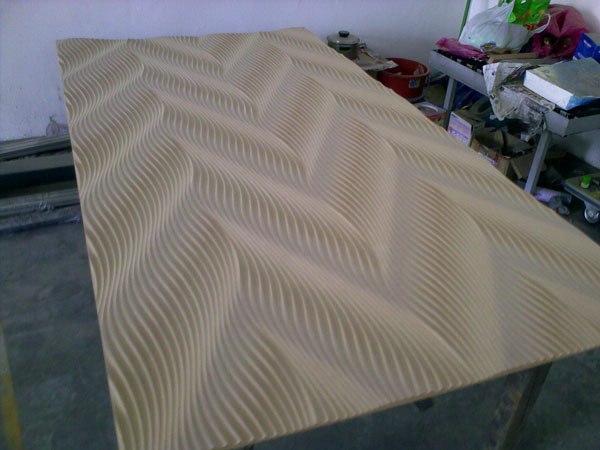 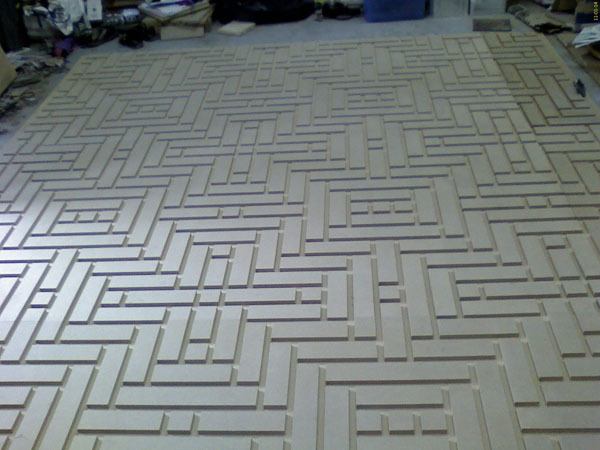 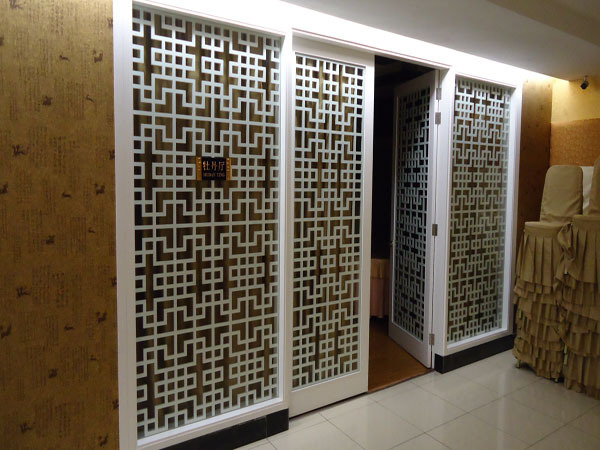 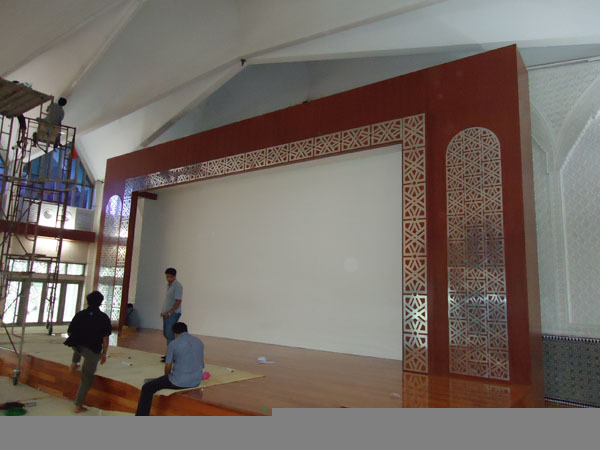 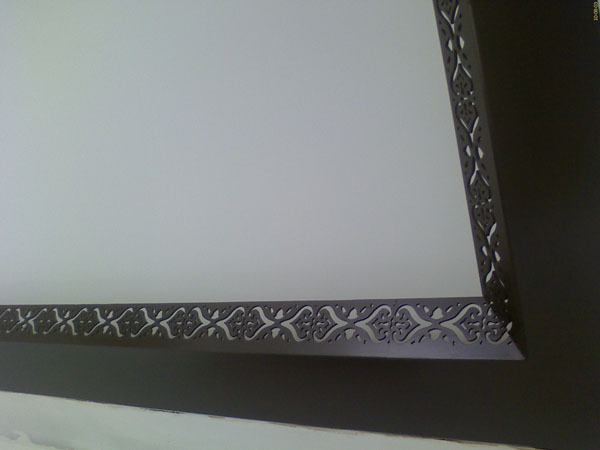 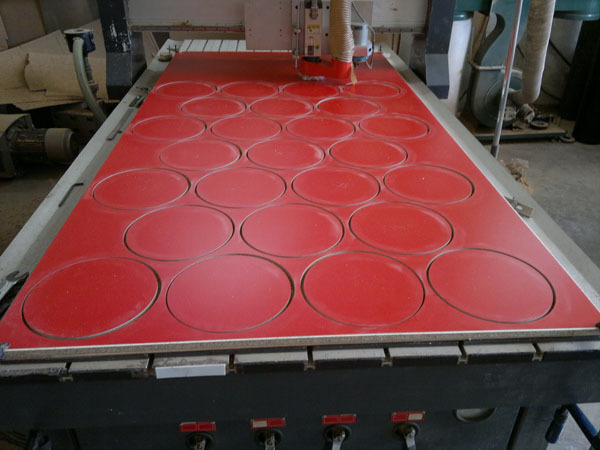 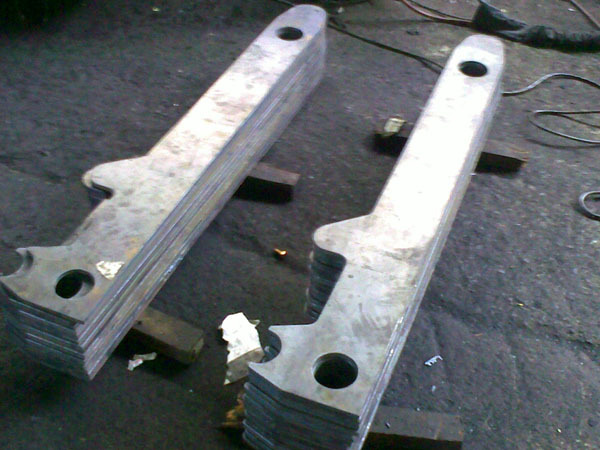 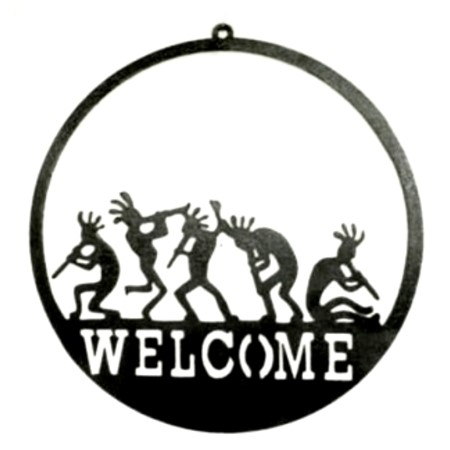 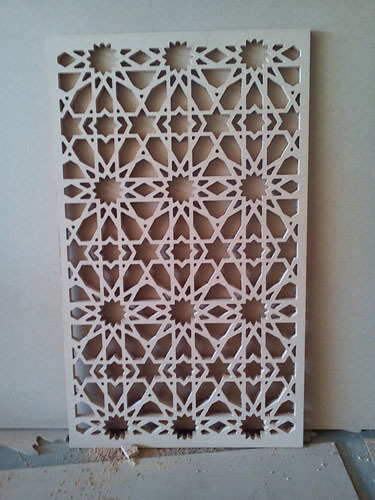 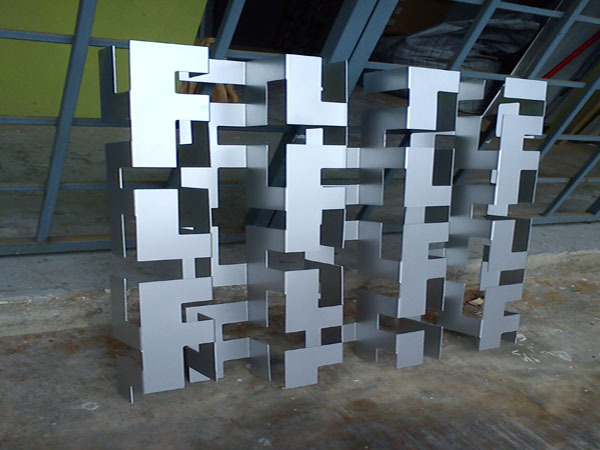 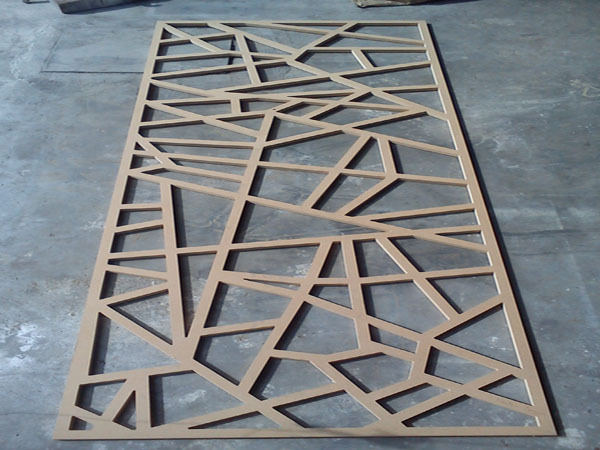 The responsive and flexibility created by cnc cutting machine assure the company possess rigid competitive advantage. 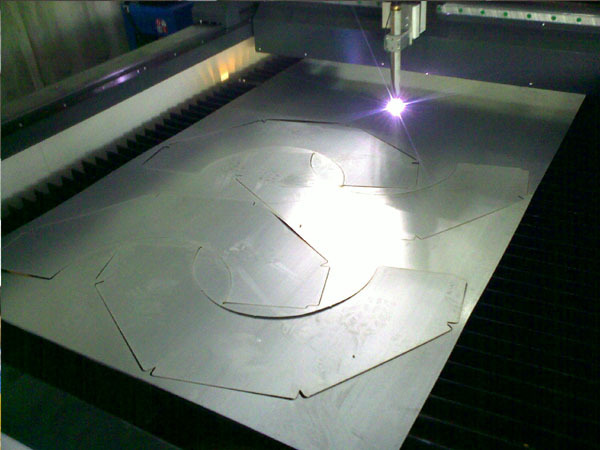 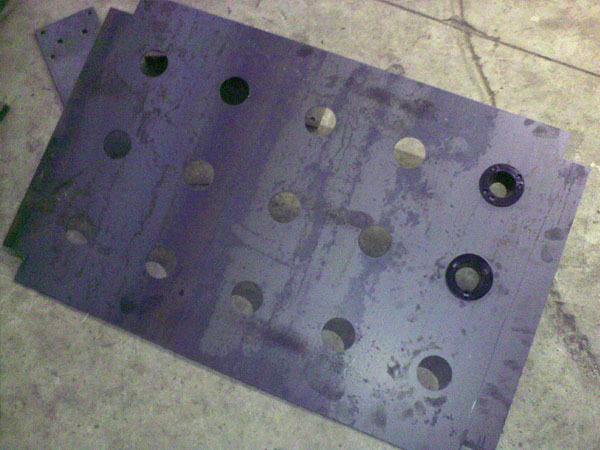 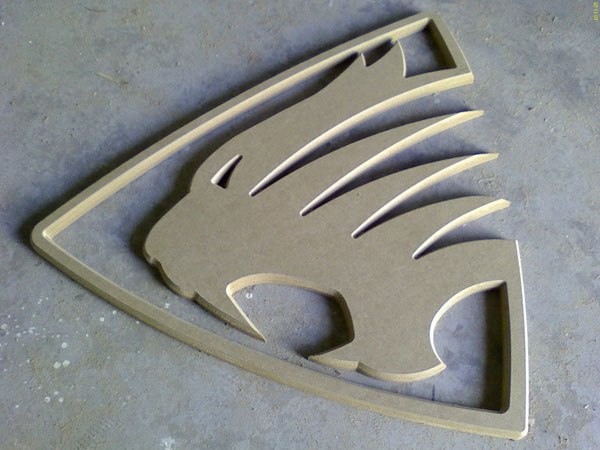 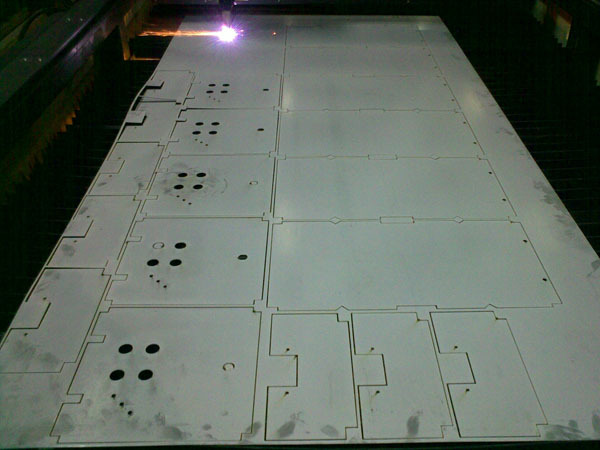 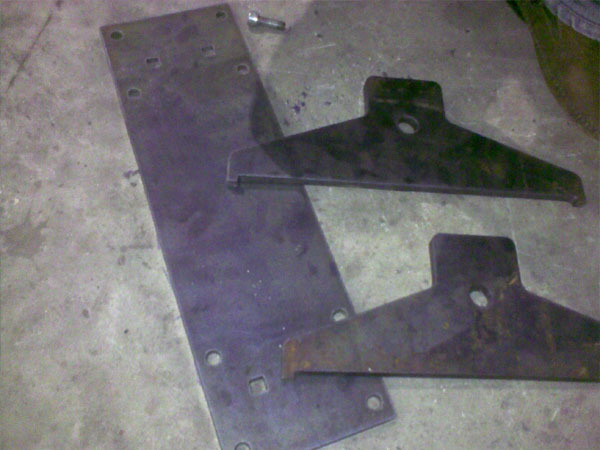 ACTECH CNC Plasma/Flame Cutting guarantees you a uniform and precise cutting of equipment structures and brackets. 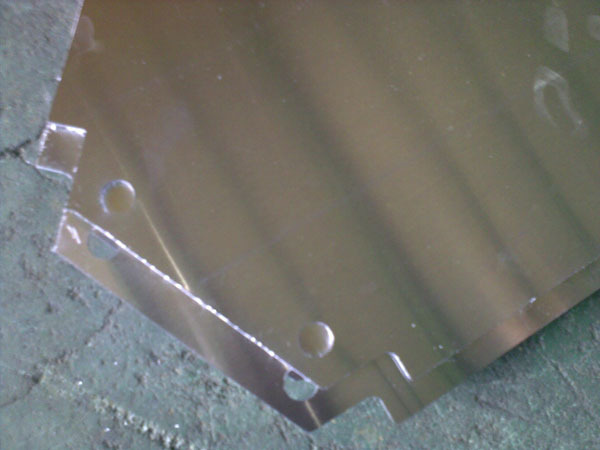 You should aiming to reduce yours cutting cycle time for at least 3-4 times besides obtaining much better finishing cutting edge. 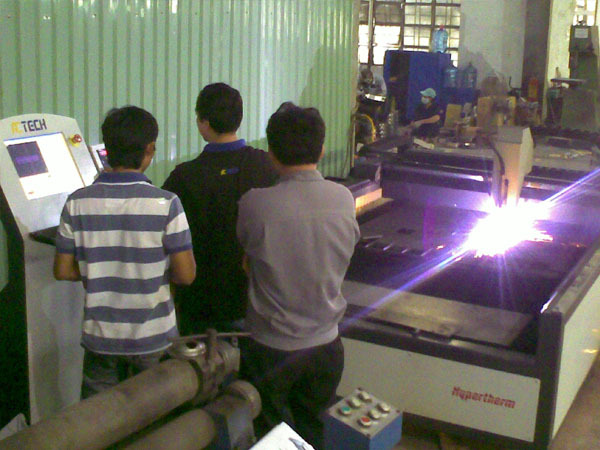 In other words, you may manufacture the same products with a non-skilled worker and he is producing 4 times faster than a skilled worker. 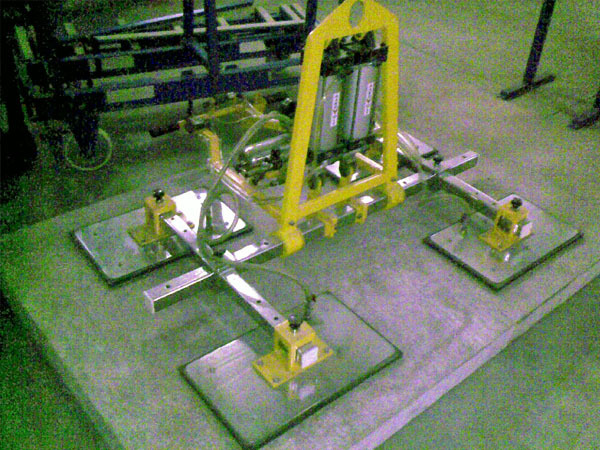 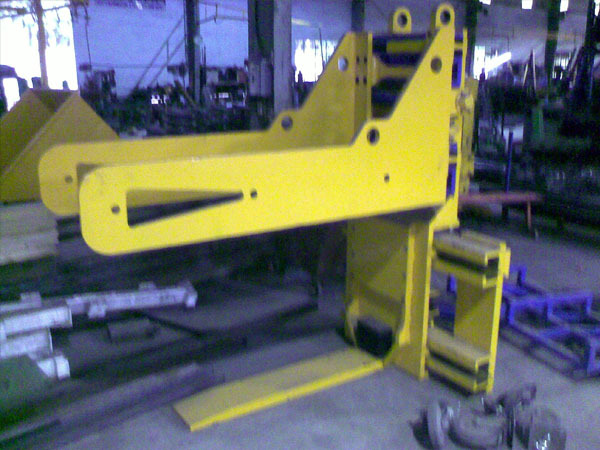 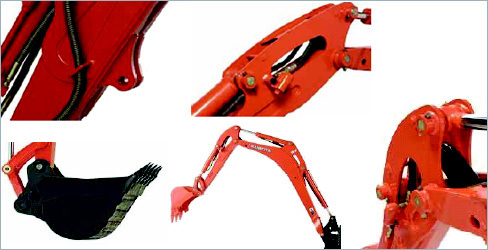 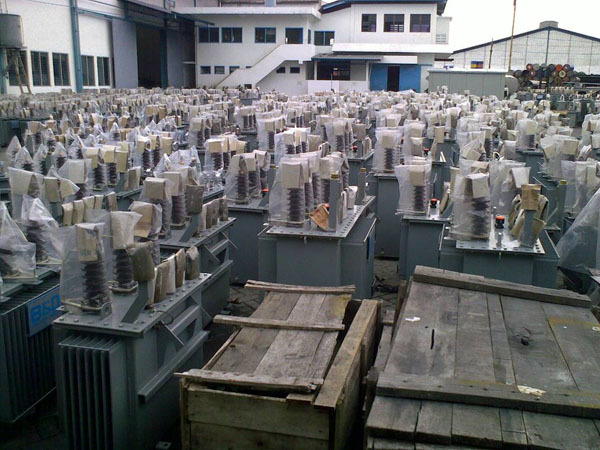 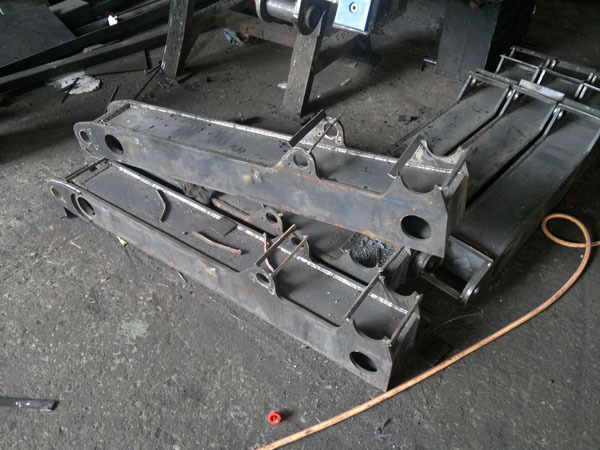 Manufacture of tools & material handling equipment. 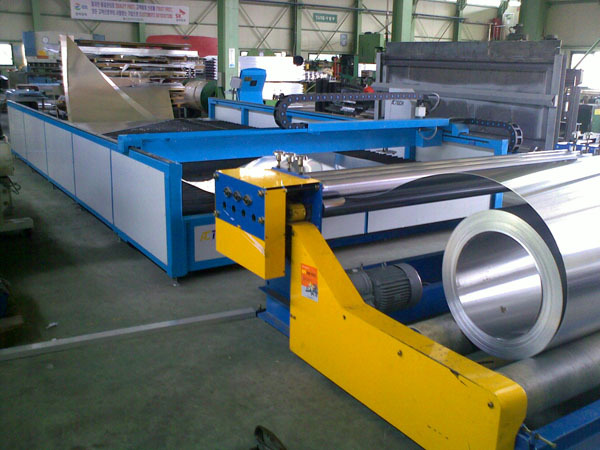 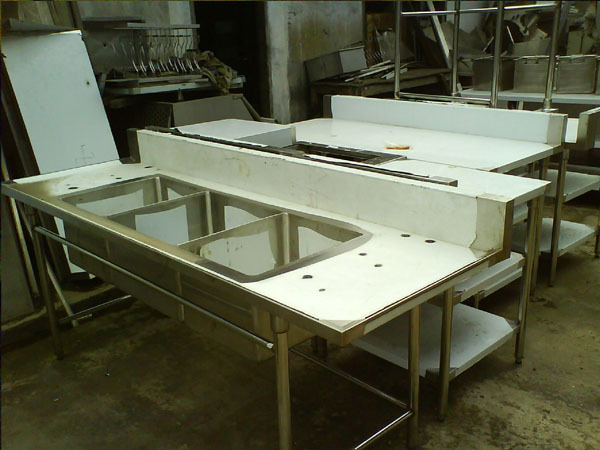 Manufacture of stainless steel kitchen equipment and signage related products. 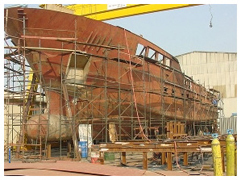 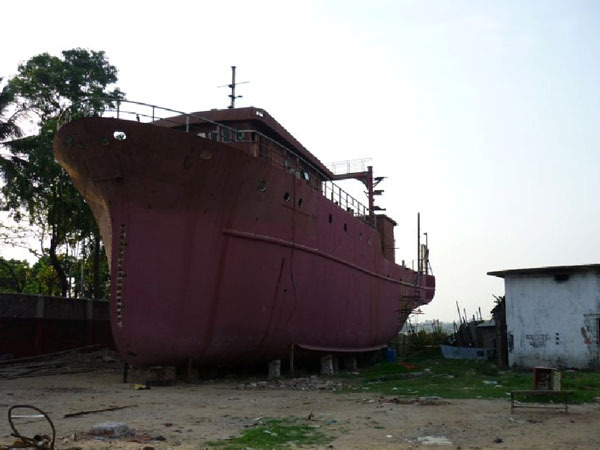 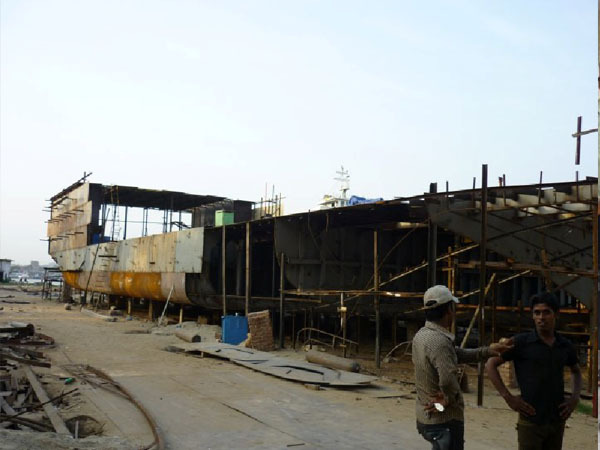 Ship builder and ship repairer. 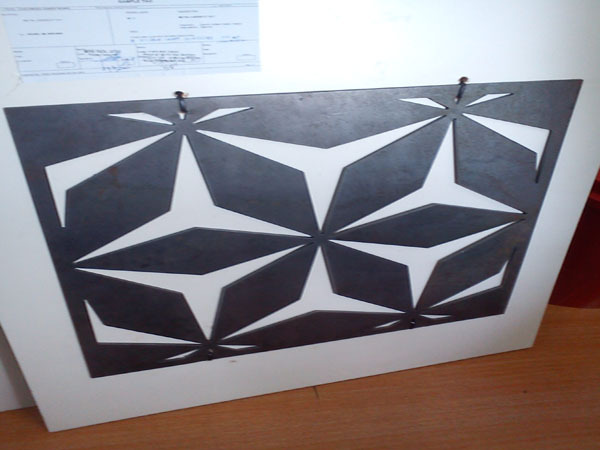 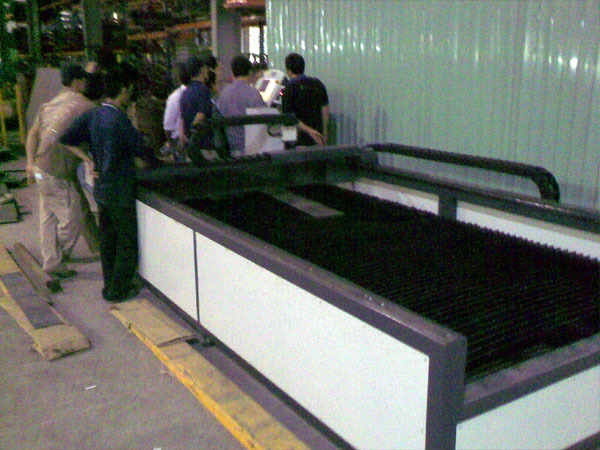 By using ACTECH CNC Plasma Cutting Machine in the production, proven that the related Value Added & Non-Value Added time has been decreased, our customer are able to grab more & more order due to the production capacity has been increased! 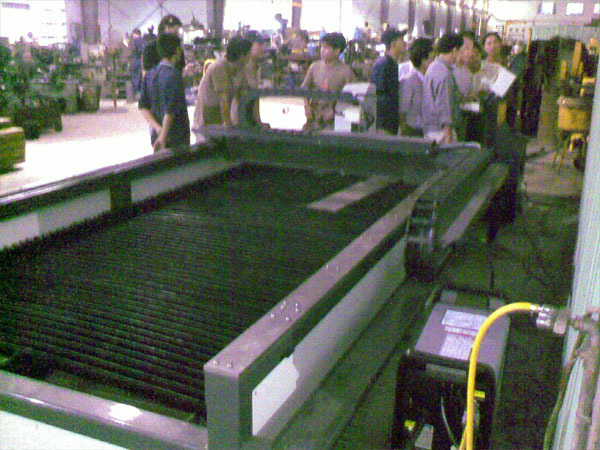 ACTECH CNC Plasma Cutting Machine can be equipped with CNC Oxy-Flame Cutting Torches, by identifying the thickness range of production needs, thicker material (>19mm) can use Oxy-Flame to cut for lower operation cost; while for material thickness below 12mm, CNC Plasma cutting will surely brings you faster productivity!